Who Makes the Best Value Beaujolais? Domaine de Montille remains one of the most hallowed names in Burgundy, producing a spectacular array of whites and reds, mostly from their home base in Volnay. Their most sought after and hardest to find wines come from the Vosne site Malconsorts—a legendary vineyard adjacent to La Tache. We have a small allocation of their classic Malconsorts from the legendary 2016 vintage arriving Friday. When I am looking for a Rosso di Montalcino, I typically buy with some hesitation. Occasionally the wines are overblown, trying to live up to full fledged Brunello, and on occasion they’ve tasted like a poor imitation of what passes for Sangiovese. My expectations were far surpassed with the delicious Sassetti Rosso. The wine looked shimmery and bright red in the glass – no browning or oversaturation here. The typical scents were there without detracting from the purely exceptional fruit. Freshly turned earth, graphite, cherry and blueberry, with maybe a dusting of cocoa powder. The flavors were all brightness and light; fresh red cherry and orange peel with no heaviness. The wine could certainly hold on for a number of years, but there’s really no need. It is drinking truly well right now. Domaine Forey’s wines exist in an odd medium place—quantities are extremely scarce because of the size of the domaine (and demand on the east coast) but somehow isn’t quite a “name” in the sense of a Coche or Roumier. The result is that we actually get to offer the wines to you, however briefly. 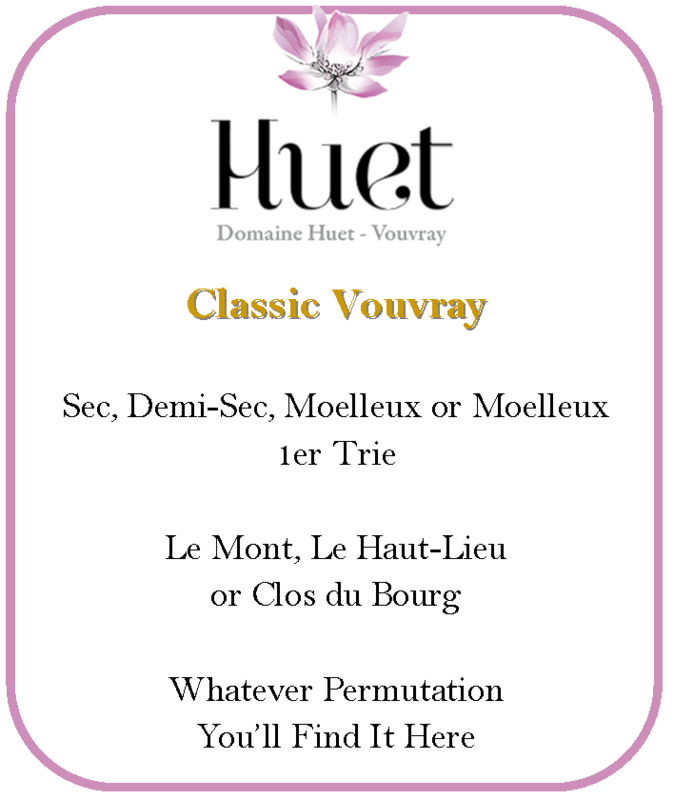 We’re expecting the wines (especially the Grand Cru wines) to disappear quickly, but it’s a rarity for wines of this quality and rarity to even be offered on the newsletter like this. The 2016 vintage is, of course, a great year and more importantly it’s a year that plays into the style of the house. These look to be monumental wines. They arrive in March, but if you want anything in particular, you’d be well advised to grab them well before then. That’s a difference of over $10/btl! Powerful Chateauneuf Blanc—a perfect winter white. Pierre-Marie Chermette’s Domaine du Vissoux wines are a great value; the quality is uncompromised and the wine is joyful and vibrant. From their simplest bottlings through their top crus, the wine expresses Beaujolais terroir in spades. The fruit is deep and pure, but it doesn’t go beyond perfectly ripe. The top wines age beautifully over a 5-15 year period but always seem to drink well on release. We’ve never managed to avoid drinking the less expensive bottles to find out how they age. The wines are quite simply a near perfect reflection of what Beaujolais should be. 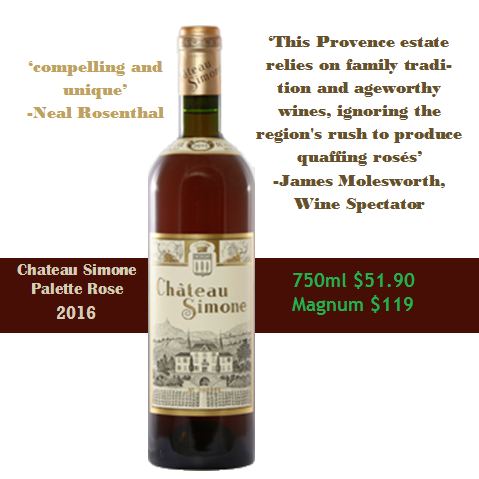 Chermette killed it in 2017 and these wines are as good as have ever been produced by the estate. 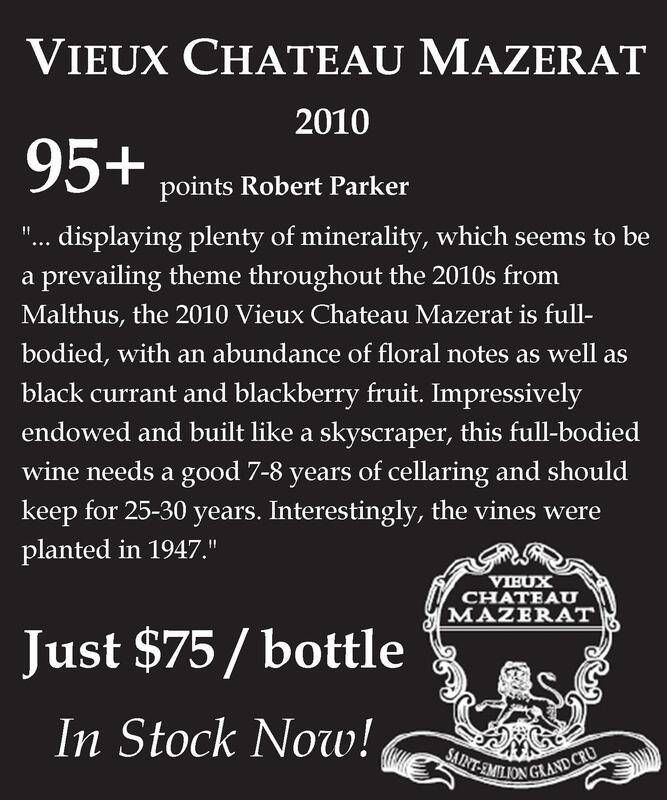 Want to see all the Vissoux wines, from both 2016 and ’17, in stock now? Just click here for the full list on our webstore! Limited stock of Salicutti’s brilliant, elegant 2011 arrives later this week, at fantastic pricing. Raul Perez has emerged as one of the most exciting Spanish winemakers of the last few years. He’s done it in an interesting way: not with bombastic wines, but rather by honing in on the terroirs in Galicia, a relatively unromantic vinicultural region. Perez, unlike his also famous mentor, Alvaro Palacios, focuses on wines made from Atlantic-influence climates in villages like Villadecanes or Cacabelos. As a result, the wines tend to be impressive, but in an introspective, earthy way. In the winery, he combines a hands-off approach with whole-cluster fermentation and long post-fermentation macerations. This results in powerful, yet elegant, wines that complement food exceptionally well. When you roll all of this together, you understand why Perez is making waves—these are unique and exceptional wines that show off terroirs previously unexplored by serious winemakers. The Haag family dates its history in the region back to the 1500s. 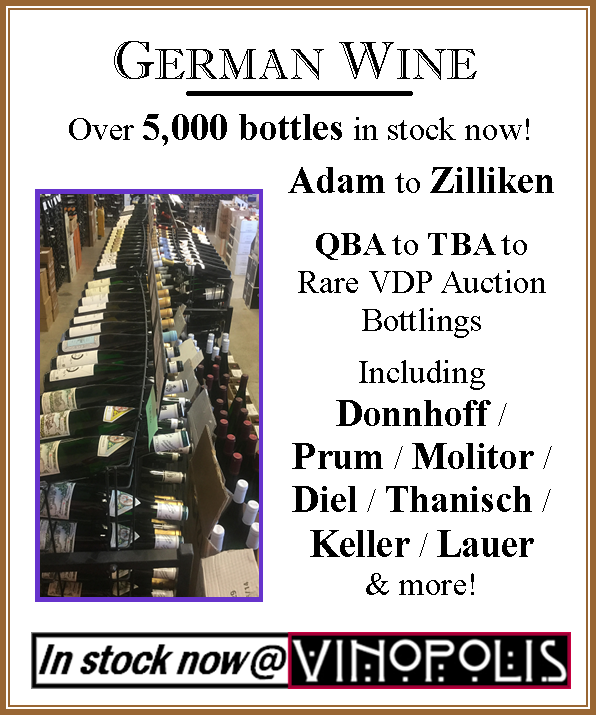 The Willi Haag branch, the less famous of the two Haag wineries, makes more-than-solid Mosel wines (in styles ranging from dry to slightly off dry to fruity) and all are outstandingly reasonable for their prices. The grandson of the estate’s found, Marcus Haag, runs the winery today from his modest holdings on steeply planted vineyards in the village of Brauneberg. We’ve slashed prices on Tuscan icons, Chateauneuf, great red Burgundy and classic Cote Rotie (and a whole lot more). It’s an amazing way to begin the month (provided you like excellent deals on outstanding wines) and we’re excited to bring you more in the days/weeks ahead. As with all of our Sale Wines—these prices are limited to stock on hand, so once we sell out, the sale pricing is gone forever. 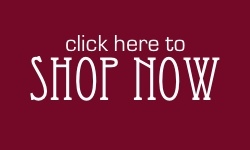 View the complete list below, and shop our web store.